BSG fans should check out Monk Friday night on USA Network, as "Mr. Monk and The UFO" is written by Michael Angeli the writer of notable BSG eps such as The Son Also Rises, Six Degrees of Separation, Guess What's Coming to Dinner, Blood on The Scales, and the Emmy nominated Six of One. 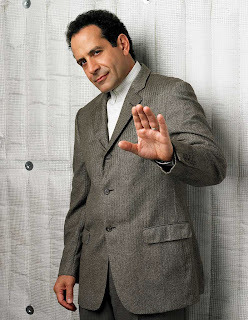 In the episode, while driving back from a wedding outside of Reno, Nevada, Adrian Monk (Tony Shalhoub) sees a UFO with his assistant Natalie Teeger (Traylor Howard) when her car breaks down in the desert foothills. UFO enthusiasts descend on the small desert town where Monk and his assistant are staying while the car is being repaired. The Ufologists rabidly search for the landing site and in doing so, find the body of a murder victim. Monk is co-opted by the sheriff (Daniel Stern) to help solve the murder. The Ufologists begin to suspect Monk is an alien, and that he came in the UFO -- from Cylonia. There are a few other BSG references in the episode written by former Battlestar Galactica co-exec producer Michael Angeli. "Mr. Monk and The UFO" Friday, August 21 at 9/8C on USA Network. Be there! 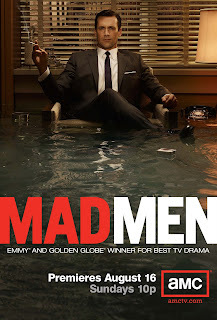 For all kinds of great Mad Men info read the Basket of Kisses blog, the best MM blog around. And check out Maureen Ryan's interview with series star Jon Hamm. A great Simpsons parody of the MM opening credits. The BBC is reporting that Variety is reporting that Bryan Singer is confirmed to direct a theatrical version of Battlestar Galactica. "The project is literally at ground zero right now. With Singer on board, now it's time to find a writer, figure out the course such a project might take. Might Ron Moore step in to deliver a script? Anything is possible." So... what do we think? BSG fans, weigh in! Pretend our Comments field is going to be read by every executive and artist associated with the film. What do you want them to know? Personally - speaking as BSG addict Sam J. Miller, and not as an objective Sitrep editor - I like Bryan Singer a lot (enough to forgive him for Superman Returns, which might be the most bored I've ever been at a movie). X-Men and X-2, in my opinion, were way smarter than the average big-budget action movie. His sensitivity to the outsider, to people who are considered monsters, seems to be a pretty good fit for the RDM version's commitment to humanizing the cylons and presenting complicated issues in an engaging way - and is in direct opposition to The Original Series' depiction of the cylons as inhuman and pure evil. The fact that he's openly gay and has pretty blue eyes has nothing to do with it. Also Olmos recently made a special appearance in Cleveland at the Screaming Tiki Convention where he participated in a panel discussion on Saturday. On Sunday he sat down with Jamie Ruby of MediaBlvd for an exclusive interview. UNIVERSAL CITY, Calif., July 17 - Television's most thrilling science fiction adventure makes a stunning turnabout when Battlestar Galactica: The Plan debuts on Blu-ray Hi-Def and DVD on October 27, 2009 from Universal Studios Home Entertainment. For the first time ever, fans can experience the uncut and uncensored story of humanity's futuristic fight for survival through the eyes of their deadly adversaries, the Cylons. This never-before-seen perspective of the Cylon plan reunites the series' original television cast, including Emmy Award winner Edward James Olmos (Stand and Deliver), Dean Stockwell (JAG), Tricia Helfer (Burn Notice), Grace Park (The Cleaner) and Callum Keith Rennie (Californication). Ronald D. Moore and David Eick return as executive producers. Battlestar Galactica: The Plan's executive producer and writer Jane Espenson added, "Edward James Olmos was our director on the movie, and he did an amazing job. He also shot some great footage that we are not able to show on TV, so I'm thrilled that viewers can experience it uncut as our director envisioned it." Battlestar Galactica: The Plan includes the uncensored 90-minute feature and revealing bonus features that take viewers onto the set of the most unexpected twist ever in the intergalactic saga's history. Interactive features available exclusively on Blu-ray Hi-Def include the new Battlestar Galactica Trivia Game, as well as Universal's acclaimed U-CONTROL and BD-LIVE experience. With Blu-ray Hi-Def, viewers can enjoy Battlestar Galactica: The Plan's stunning visuals with perfect picture and the purest digital sound available. During four spellbinding seasons on the SCI FI Channel (now Syfy), Battlestar Galactica's vivid reimagining of the classic television series earned a legion of devoted fans, as well as unfettered critical acclaim, and Emmy Awards for Outstanding Special Visual Effects in 2007 and 2008 and a Peabody Award in 2008. 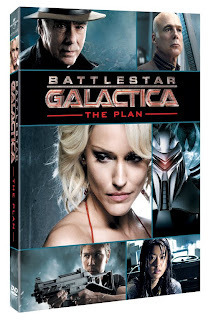 Battlestar Galactica: The Plan is priced at $39.98 SRP on Blu-ray Hi-Def and $26.98 SRP on DVD. 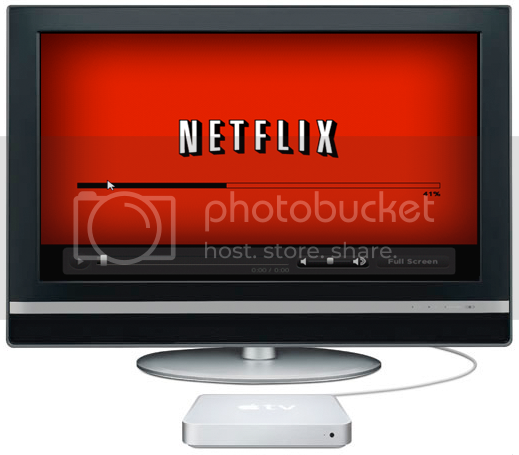 o BD-LIVE: Access the BD-Live Center through your Internet-connected player to download more exclusive content, the latest trailers and more! + MY SCENES: Bookmark your favorite scenes from the movie. + BATTLESTAR GALACTICA TRIVIA: All-new trivia game. o FROM ADMIRAL TO DIRECTOR: EDWARD JAMES OLMOS AND THE PLAN - A day-in-the-life with director and actor Edward James Olmos, as he tackles the most ambitious Battlestar Galactica production to date. o THE CYLONS OF THE PLAN - Features interviews with the actors who play the film's key Cylons, including Dean Stockwell, Tricia Helfer, Grace Park, Michael Trucco, Rick Worthy and Michael Bennett. o THE CYLON ATTACK - This featurette takes viewers behind the scenes for the planning and execution of one of Battlestar Galactica: The Plan's major action sequences. o BEHIND THE PLAN - An in-depth look at some stunning visual effects and the role post-production plays in bringing the world of Battlestar Galactica to life. Battlestar Galactica: The Plan: The Cylons began as humanity's robot servants. They rebelled, and evolved, and now they look like us. Their plan is simple: destroy the race that enslaved them. But when their devastating attack leaves human survivors, the Cylons have to improvise. Battlestar Galactica: The Plan tells the story of two powerful Cylon leaders, working separately, and their determination to finish the task. An inspired, visually stunning reimagining of the 1978 series of the same name, Battlestar Galactica captured the imaginations of a new generation of fans with its gritty realism, compelling storylines and commanding performances. The show garnered numerous awards, including two Emmys and the prestigious George Foster Peabody Award and was recognized by the American Film Institute (AFI) as one of the most outstanding television programs of the year for two years running. In March 2009, Battlestar Galactica's impassioned explorations of today's hot-button issues, including politics, terrorism, treatment of prisoners and religion, even inspired the United Nations to host a special panel to discuss the questions it has raised. The series is from Universal Cable Productions and is executive produced by Ronald D. Moore and David Eick. Congratulations to Battlestar Galactica for winning Program of the Year award at the Television Critics Association Awards held over the weekend in Pasadena, California. Since Ron Moore was busy in Vancouver directing an episode of Caprica, so the award was accepted by Jane Espenson, with Michael Hogan, Tricia Helfer, Grace Park, Katee Sackhoff, and director Michael Rymer also present. Jane tweeted her thanks. Mo also reported that Michael Hogan will be guest appearing early in the second season of Dollhouse.